What?! A tomato recipe now?! I have to admit, this is sneaky. I am missing my garden tomatoes. And all that is available are tasteless tomatoes from the grocery store. 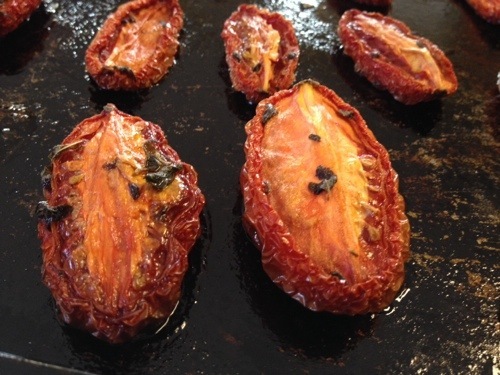 I found this recipe (from Cooking Light, November 2012) that takes those “plastic” tomatoes and turns them into a flavor-filled transporter that takes you back to summer and the richness of garden tomatoes. 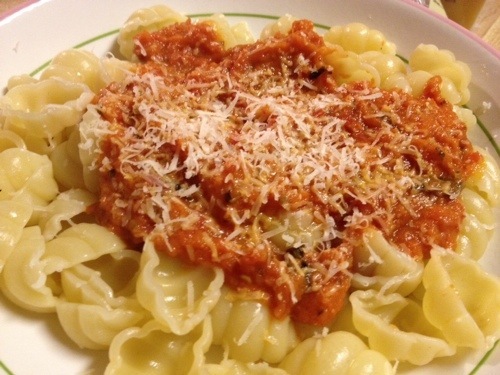 I tried the tomatoes before I cooked them, they were truly the bland, flavorless tomato-wannabe that you would expect. After they were cooked, I could have eaten the entire 4 pounds worth! 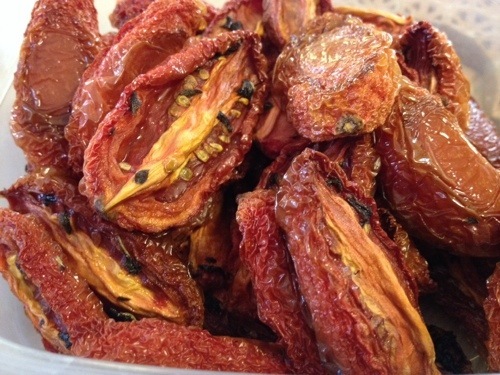 These tomatoes can be eaten “as is” as a side dish or used to make a sauce for pasta. To make the sauce, add some olive oil and puree. If you want the sauce thinner, add chicken stock or water, and perhaps a splash of red wine, and simmer to desired consistency. 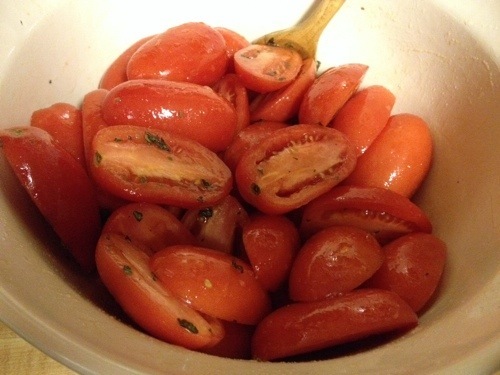 Combine sugar, olive oil, salt, basil, oregano, pepper and tomatoes in a large bowl, tossing gently to coat tomatoes. 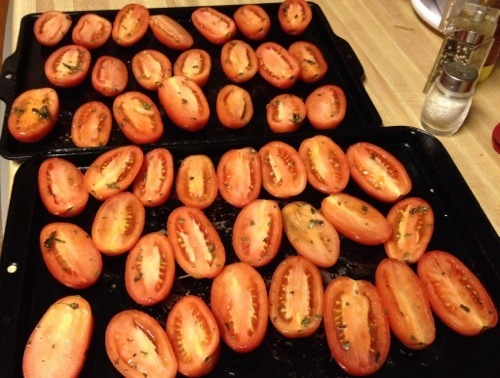 Arrange tomatoes, cut sides up, on a baking sheet coated with cooking spray. Roast at 200F for 7 1/2 hours.